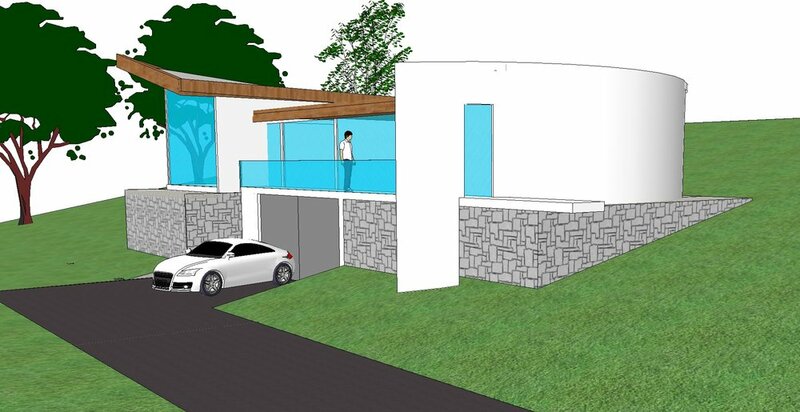 The proposed house is generally a single storey house lying on a north south axis and is orientated to maximise the long views to the south. 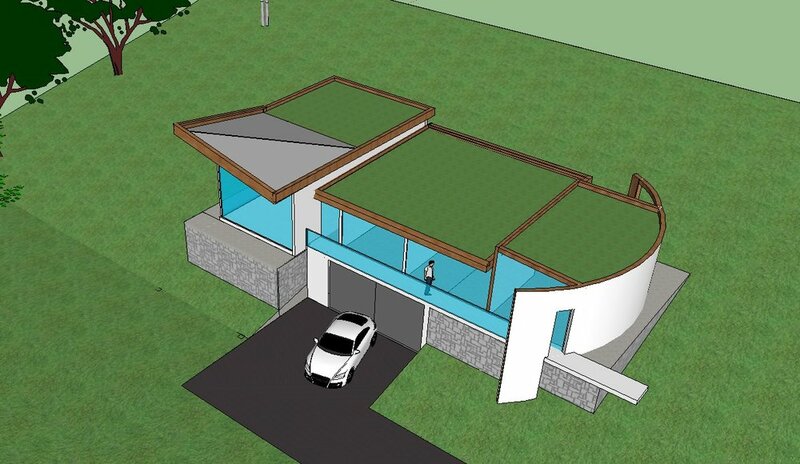 It is a low impact, low energy ecological house, incorporating state of the art sustainable construction methods which will fit in with the surrounding landscape. The design of the house is contemporary and predominantly takes its references from the local visitor centre. The site gently slopes down in a southerly direction and the house is dug into the top end of the slope allowing opportunity for garage/amenity facilities below. The main floor above consists of an open plan living/dining room and kitchen. The bedrooms are accessed via a long hallway and all rooms take advantage of the south aspect with only bathrooms and circulation space to the north. The circulation space that runs the length of the building is enhanced by means of a roof light allowing light and warmth to enter the house during the day. At night it is proposed that the roof light is shuttered to retain this warmth and create a more intimate environment.